Environment Canada has several counties in northern Nova Scotia under a flash freeze warning and is cautioning dropping temperatures will cause icy road conditions. Environment Canada has several counties in northern Nova Scotia under a flash freeze warning and is cautioning that dropping temperatures will lead to icy roads following Sunday's snow and rain storm. CBC meteorologist Tina Simpkin said although other areas are not included in the Environment Canada flash freeze warnings, temperatures have dropped rapidly to below zero across mainland Nova Scotia. 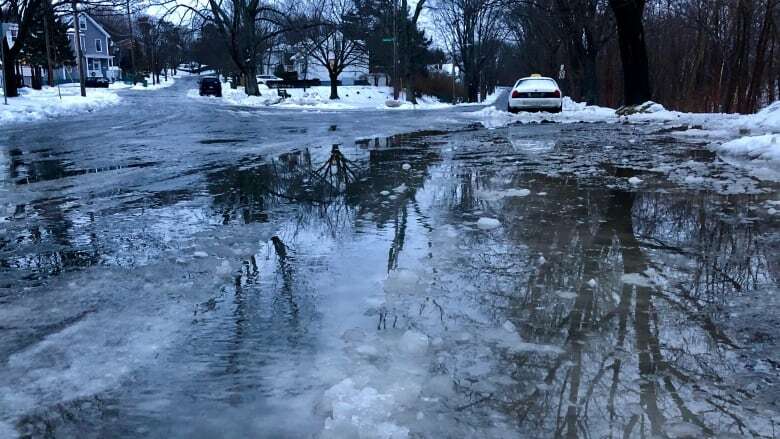 Some areas flooded overnight because the ground remained frozen following several weeks of cold, despite temperatures that climbed into double digits on Sunday. About five centimetres of snow fell on the Halifax area on Sunday, followed by more than 50 millimetres of rain. Temperatures are dropping once again Monday before many surfaces dry. Temperatures were already creeping below zero in southwestern Nova Scotia before 7 a.m. on Monday. Most of the province recorded temperatures below zero by 11 a.m.
"These conditions will likely produce very slippery conditions on many surfaces," Environment Canada said in a statement. The expected temperature drop prompted the South Shore Regional Centre for Education to cancel classes on Monday. Many regional centres for education warned buses would be travelling on paved roads only on Monday. About three-dozen flights at Halifax Stanfield International Airport and J.A. Douglas McCurdy Airport in Sydney were cancelled or delayed Monday morning. The weather also forced Marine Atlantic to delay morning crossings between Nova Scotia and Newfoundland until Monday evening. Annapolis County, Digby County and Kings County are under a special weather statement, with higher than normal water levels and pounding surf expected near the coast. 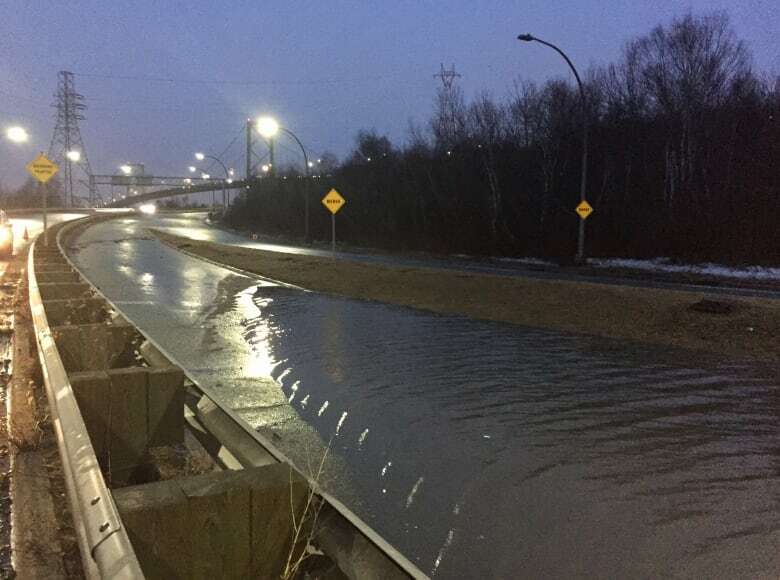 Environment Canada said to expect minor flooding from Ship Harbour west to Yarmouth. For the southern Bay of Fundy, from Cape Split west to Digby County, higher than normal water levels along the coast are expected around noon. Heavy rainfall warnings for Guysborough County, Richmond County, Inverness County south of Mabou, Cape Breton County and Victoria County were lifted early Monday morning. The temperature fluctuated wildly over eastern Canada on Sunday, with temperatures as low as -42 C in Fontages, Que., to as high as 12 C in Greenwood, N.S., according to Environment Canada.